I was trained in a school of palmistry that didn’t talk about the Mystic Cross much. Still, it’s hard to study hands and read as much about palmistry and hand analysis as I do and not come across references to this mystical marker. The more I read about it and the more I looked at my own hands I realized that I do have one of these! In fact, I’ve had it for as long as I’ve been studying hands. During my certification process I asked about this X between my heart and head lines and it was identified it as a marker of change and upheaval in my life occurring in or around my 41st year. This made sense then and in hindsight. In my 41st year my entire life changed – dramatically. I knew it was coming and it was underway during my hand analysis certification process. The culmination came later that year, but since I don’t believe in coincidences, I made the connection that a cross between a head and heart line, with its center point directly below the Saturn (middle) finger would always indicate some sort of massive life change. Massive life change isn’t the easiest sort of change to lean into, however, now that I’m through the process I can assure you it was completely worth it. 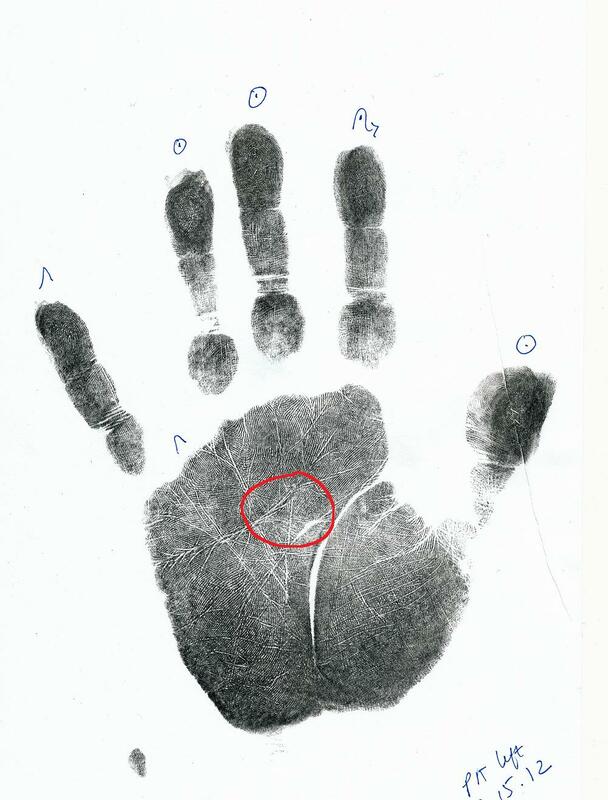 Fast forward 11 years and this cross is still one of the most common questions I’m asked regarding palmistry! There are currently 81 comments on the post I wrote about this on website! Still for years I ignored the questions responded cavalierly that this cross simply reflected a life-change around the person’s 40s. But I couldn’t really shake this Mystic Cross mystery so I went back through my library of palmistry books and started digging into the meaning of a Mystic Cross. Most books (and websites you’ll find) simply state it’s an indicator of psychic ability, which is probably why I wrote it off at first – I feel strongly that EVERYONE has psychic ability. Then I started to meditate on that – what if a Mystic Cross is a type of gift marking? What if a Mystic Cross appeared on your hand to remind you that you got an extra dose of this intuitive/psychic/mystical/alchemical gift in order to go deeply into your purpose and service in the world? What if it showed up when you were NOT using it to its fullest advantage and you had a penalty to work through? In hand analysis sessions I am trained to take note of specific gift and wisdom markings in the palm. Gift markings, by definition are there to remind us to use the specific gifts we were born with in pursuit of deepest happiness and purpose in the world. Most people are excited when they hear about a gift marking in their hands. They often sit up a little straighter and smile when I describe the gift. That is until I tell them about the penalty that is likely kicking them in the gut right at the moment. Gift markings come with a penalty for disuse. You have to use the gift or otherwise you end up in the penalty box. My insight about a Mystic cross worked in alignment with my original understanding that there would be a life change in the early-mid 40s. On the surface the change I underwent didn’t seem to be connect to doing psychic work, hindsight is awesome and I see that I needed to clear out all the things that were keeping me stuck in my pre-psychic life in order to do my healing work more fully. I’ve never been one of those believers with a big B. I’m not a person who goes to a psychic already enamored of the wisdom they’ll bestow on me. I’m intrigued by things mystical and other-wordly, but I face them all with a skeptic’s eye and a strong need for authentication. Frankly, I’m the Doubting Thomas of the Psychic World. Still…I can’t shake the idea that a Mystic Cross shows up to push us into accepting and using our intuitive gifts. It shows up to require us to explore not only what is seen, but what is unseen, and to face the fear of mockery and ostracism that we believe will accompany a more intuitive life. A Mystic Cross means more than simply dabbling in the magical arts for giggles, it means stepping deeply into the quest for spiritual truth and answers. Finding those answers and making peace with the spiritual, natural and material world is the gift of the Mystic Cross. Strange !! I have a clear visible perfectly visible marking of the cross on my right hand !